Supria Dhanda is Vice President and Country Manager of India. In this role, she supports and expands strategic customer relationships, and serves as a spokesperson for Western Digital in India. She also leads India workforce planning and development strategies. 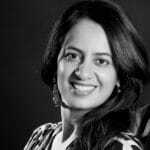 Supria is VP and Country Manager of India, expanding strategic customer relationships with 20+ yrs of experience in business and leadership.